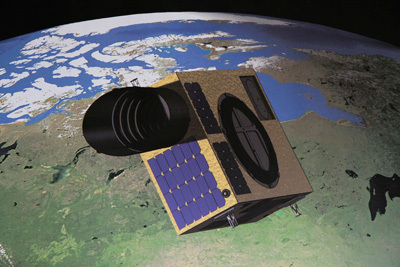 Artist’s concept of the NEOSSat spacecraft in orbit. “It just happened that way. It’s just the effect of coincidence,” said Alan Hildebrand, a professor at the University of Calgary and lead scientist for NEOSSat’s asteroid search mission. Read more: Spaceflight Now | Breaking News | Canadian asteroid-hunting satellite to launch Monday.